Sun kissed with hues of the emerald isle, this refreshing and tropical arrangement is truly a one of a kind. 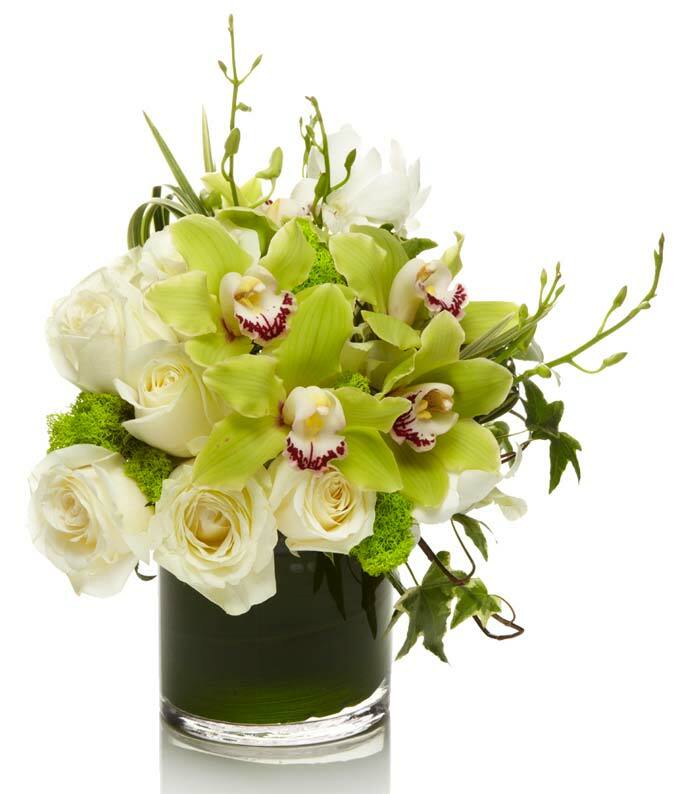 A modern and luxurious look is created by groups of white roses, white dendrobium orchid, and lime green cymbidum orchids filled out with green trick dianthus. Share the gift of pure elegance with this incredible gift today.